DAVID LE/Staff Photo. 2/13/15. 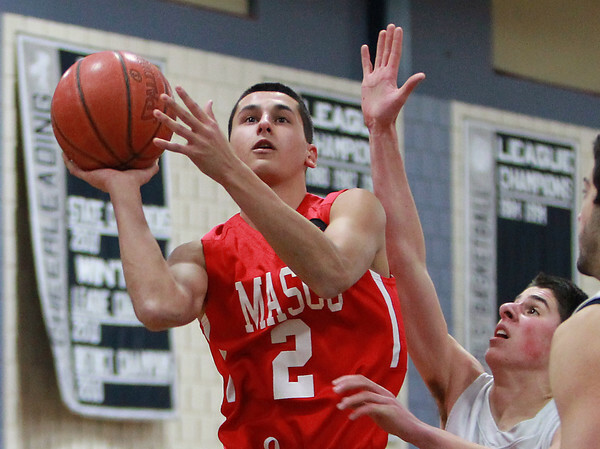 Masco senior captain Jake Rudolph (2) soars in for an easy layup after beating Hamilton-Wenham's Mark Vivenzio, right, during the first half of play on Friday evening.